An all new alarm from Autowatch that represents the next generation in the Thatcham insurance aproved catagory 2 > 1 alarm standard. These alarms are standard factory fit in South Africa by Volkswagon and Ford. They are also fitted as standard by Peugeot, Renault and Mitsubishi in Israel. What is Can Bus ? weight ,therefore offering better fuel consumption and improved vehicle diagnostics. Why Install Can Bus ? With vehicles becoming more difficult for thieves to steal, they are now breaking in to steal accessories, such as navigation systems, mobile phones and car-kits, radar detectors, stereos and any other items that they may find valuable. Most people assume that because they can lock their car with a remote, they automatically have an alarm system. From 1997, an EU law was passed to make the fitting of an immobiliser, mandatory. However this was not applicable for alarm systems. More than 75% of vehicles sold, do not come with an alarm as standard. So, the onus of securing the vehicle is the owners responsibility. The Autowatch 695 CANBUS alarm system is insurance approved. Most insurance companies now require a Thatcham approved alarm and may offer you a discount for having an approved system fitted. However, if your vehicle has only one remote control supplied as standard, adding an additional Autowatch remote control will prove more cost effective than buying an original remote control. This means you could have one exterior circuit and one interior circuit. 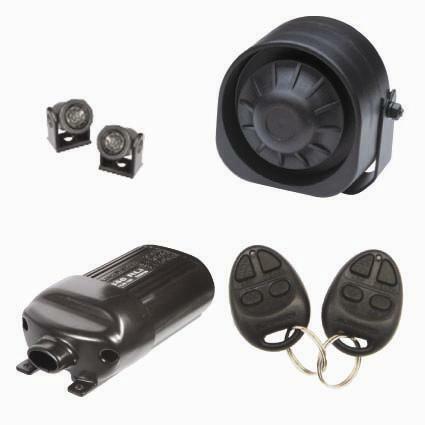 the Autowatch 695rli insurance approved car alarm will sound even if your vehicle is parked inside or outside the garage, giving you double protection. It is also used to protect the living or habitation areas of motorhomes. Chatham, Gravesend, Tonbridge, Westmalling, Isle of Sheppy.